Do you ever have a dream of yours come true, and you just do NOT know how to process it? Because it’s like, something you’ve been wishing, and hoping, and praying for your whole life is finally a reality, and where do you even begin with your EMOTIONS? That's basically exactly what happened bright and early this morning, when Netflix unveiled their pop-up Luke's Diners across the country, and Gilmore Girls fans had like, zero chill about it. 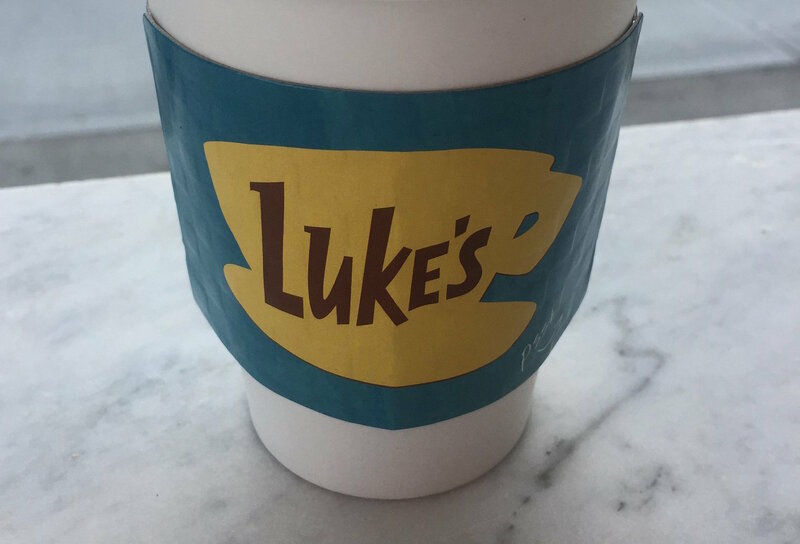 From 7 a.m. to 12 p.m., over 200 coffee shops and cafes were magically transformed into Luke's, complete with a giant cut-out of Luke — a token Luke sign telling everyone that there are NO MAN BUNS ALLOWED (a few probably snuck in, though). The coffee cups handed out had an adorable Luke's sleeve on them, and underneath, a quote from Gilmore Girls, because honestly, that's the only kind of motivational quote we need. Gilmore Girls > everything else. While these Luke's across the country might be one-day-only, Luke's Diner forever lives in our hearts. And soon, it will live once again on our televisions, and honestly, that's what REALLY matters.